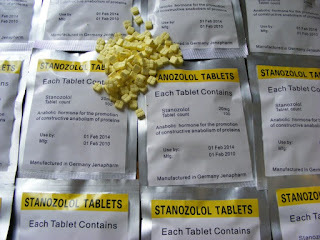 Stanozolol, commonly sold under the name Winstrol (oral) and Winstrol Depot (intra-muscular). Winstrol is the most popular anabolic steroid used when it comes to cutting cycles. There are other popular ”cutting steroids” too – dianabol and anadrol for example. Winstrol is for nothing else than cutting cycles, it barely (or not at all) ads mass, it adds some strength but comparing with other anabolic steroids it’s almost nothing. I think no one will try to use winstrol in bulking cycle (alone)… there are other steroids out there that does that better! But some people use winstrol in bulking cycle… not to bulk up, but to lower SHBG, one if winstrols properties are lowering SHBG but you need to use a very limited dose if you are trying to do this in a bulking cycle. In fact – winstrol is the best what you can get when it comes to lowering the SHBG! A dose of 2mg/kg lowers SHBG significantly and because of that the amount of free testosterone circulating in body increases. The same as 99% of other steroids – the suppression level of natural steroids will occur (perhaps not so much as other steroids). So when you are running any testosterone supplement (for example testosterone cycle with winstrol) is warranted to avoid sexual disfunction. Stanozolol is 17aa compound, this means that it´s been altered to endure the first pass through your liver without being destroyed. So this means that stanozolol is orally active compound and you can take pills instead of doing needles (of course needles will be less harmufull and more effective than orally taken stanozolol!). Pills are available as well from Underground Labs as from legitimate pharmaceutical companies (the last ones requires prescription though). 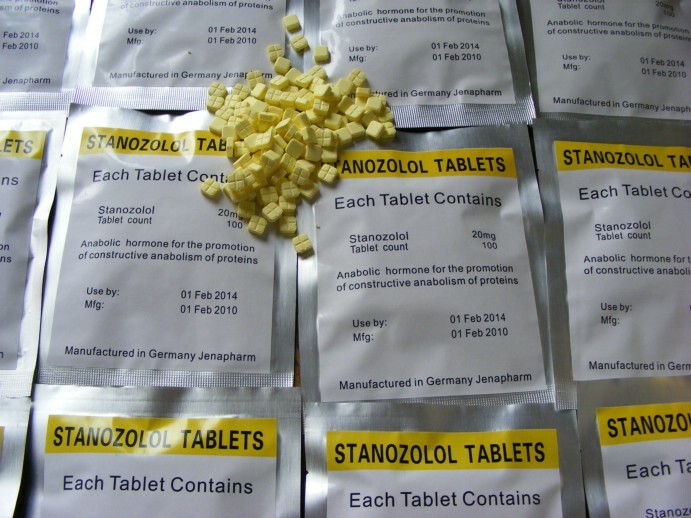 Stanozolol is very liver-toxic because it is a 17aa substance, in fact stanozolol has one of the worst hepatoxicity (mg for mg) of any steroid. This makes stanozolol to be so hard to combine witn bulking cycle – the dosage will rise so as the damage to liver. Stanozolol has undesirable results on cholesterol too. Many people take stanozolol only pre-summer to make that tight beach look. Stanozolol should be limited to six weeks of use, but many people run it for 12 weeks without any problems. As said before, stanozolol is a cutting anabolic steroid – so the results are – dryer look. Of course there are some bad effects too – some people report ”dry” joints. Athletes in explosive or high impact sports should stay away from this drug, because it weakens tendons (this could lead to possible injury). But this is individual – some can suffer from ”dry joints” some not.. Stanozolol is an unique compound – available in oral (winstrol) form and in injectable (winstrol depot) form. Both forms contain the same ammount of compound. Injecting it has the advantage because you can avoid the ”first pass” through liver which is the most toxic part for liver.